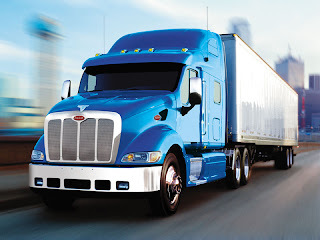 Truck drivers work for transportation companies, manufacturing/distribution companies, moving companies, and employment service agencies, or they may be self‑employed. The highest concentrations (per 10,000 people) of truck drivers are found in Alberta and Saskatchewan while the lowest concentration is in Newfoundland. Use the "Where They Find Work" graph to target your worksearch. It may be easier to get into industries with the most people in this field. Want to work in an industry that hires fewer workers in this field? To be more marketable, check out whether you have the most up‑to‑date knowledge and technology skills for that industry. Check the provincial/territorial or local information (http://lmi‑imt.hrdc‑drhc.gc.ca) for opportunities in your area. You usually need a high school diploma. You usually receive on‑the‑job training. You must have a Class "D" licence to drive straight trucks. You need a Class "A" license to drive articulated trucks. Drivers who operate vehicles equipped with air brakes must have air brake endorsements. You need Transportation of Dangerous Goods (TDG) certification to transport hazardous products or dangerous goods. With experience or additional training, you may move up the ranks to become a supervisor, driver trainer, safety officer or truck dispatcher. Many recent entrants have a high school diploma, and almost 1in 4 have a trade/vocational certificate or community college diploma. This will let you explore the program(s) of study that lead to this (these) occupation(s). These educational programs are listed in the order in which they are most likely to supply graduates to this occupation. Read job ads, professional journals, and newspapers for what the industry needs and employers want. Talk to employers and employees to find out the exceptional skills and knowledge that will help you land a job. Employment grew at an average rate over the 1999‑2001 period because of the economic expansion in the trade sector being balanced by the 2001 economic slowdown. Hourly wages ($15.68) are lower than average ($16.91), but the rate of wage growth is above average. The unemployment rate about average (5%). The number of job seekers, mostly unemployed workers, recent graduates, and immigrants, matches the number of job openings. The employment growth rate will likely be below average as trade and trucking activity slowly recovers from the 2001 economic slowdown. However, new safety regulations that limit drivers' daily work hours will likely result in job gains. The retirement rate will likely be average, and the number of retiring workers should contribute significantly to job openings. The number of job seekers will likely match the number of job openings. You'll be competing with unemployed workers. You're more likely to succeed if you develop technical and interpersonal skills. If you are beginning your career investigation, national outlooks will give you a good overview of trends. Hourly wages ($15.68) are close to the national average ($16.91). These earnings are below average for occupations in the trades, transport, and equipment operations sectors and are close to the average for all intermediate occupations. These wages grew at an above‑average rate from 1999 to 2001. Your salary can be affected by your background, the company's size and benefits, and the region and setting (urban or rural). The unemployment rate (6%) is close to the 2001 average (5%). This rate is close to the average for intermediate occupations. A low unemployment rate often means less competition for the jobs available. But you still need to have the required training and experience. A high unemployment rate doesn't necessarily mean you'll have great difficulty getting hired. But it can mean a fluctuating demand for workers, and you may experience bouts of unemployment. There were 258,000 workers employed in these occupations in 2001, an increase of 29% since 1994. The percentage of part‑time workers (4%) is below the 2001 average (18%) and has stayed about the same since 1994. When full‑time work is difficult to find, look at alternatives such as contract work, consulting, shared positions, and telework. The percentage of self‑employed workers is 21% compared to the 2001 average of 16% and has risen significantly since 1994. Does this occupation have an above‑average rate of self‑employment? Consider being your own boss if you can't find work with an employer. The relatively high percentage of older workers and an expected older‑than‑average worker (41) will likely be offset by a later retirement age (64) resulting in an average retirement rate to 2007. Look at the youngest group. A low percentage means fewer openings for brand‑new workers. A high percentage means more openings for brand‑new workers. Look at the oldest age group. A high percentage means positions could open up from retirements. This could be significant for both mid‑career changers and brand‑new workers. The percentage of women (3%) is below the 2001 average (46%) and has stayed about the same since 1994. If your gender is a minority in this occupation and this causes you problems in your workplace, seek out support systems and/or other opportunities in the field.